Gourmet Gifter is an online store where you can buy delicious gourmet treats, chocolates, and healthy snacks too. This is a good place to find gift baskets to send to loved ones for holidays and birthdays. Both of my parents live in different states, so I am always trying to figure out new things to send them. 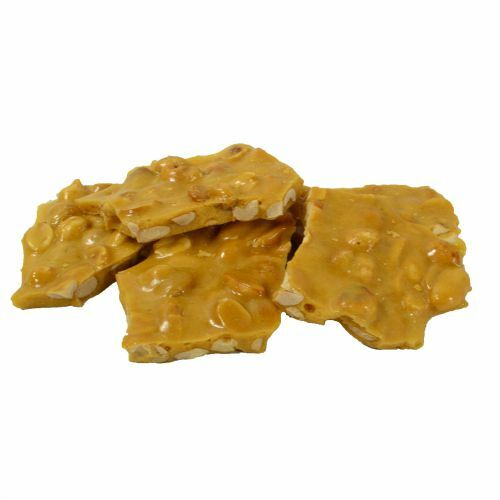 The Peanut Brittle was very good. I had a couple of bites. It had a nice buttery taste. My husband consumed most of this. You can find this sweet treat here. 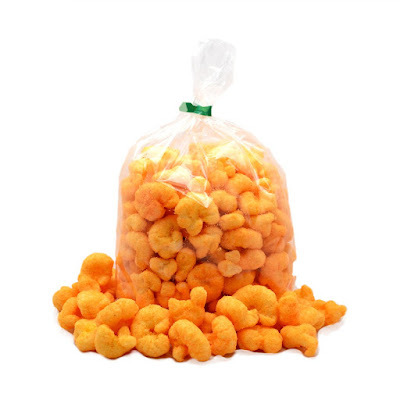 The Chili Cheese Puffs was another thing the hubby liked. These days I'm not too big on the spicy stuff but my husband is all for it. These make a great snack for movie time or game time. You can find them here. We found a family favorite. Everyone in the family enjoyed the Salty Sweet Addiction the best. It is gluten free, low in sodium, and low calorie. They use non GMO butterfly popcorn and corn oil. This popcorn is kettle popped and hand sifted. I love snacks that are salty and sweet at the same time. Probably because I like salt and sugar way too much. 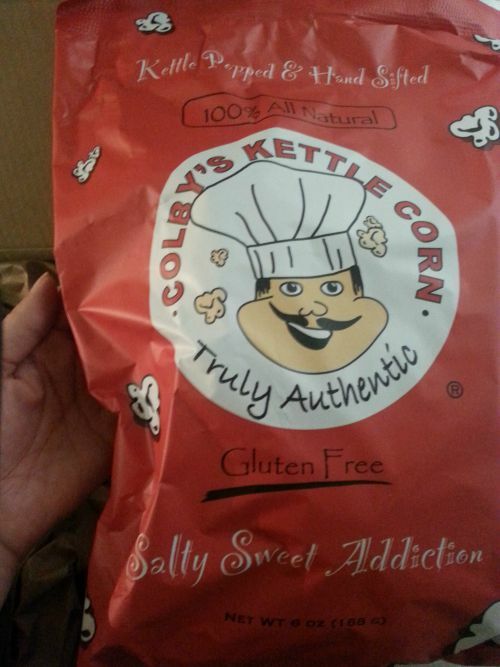 If you want to have popcorn for your next movie night at home, go here and buy some. Gourmet Gifter also sells healthy snacks too. PurEarth bars can be used as meal replacement bars. They are cold pressed, which I learned is when nothing is baked, cooked, or heated. They are made with all natural prebiotic fiber that is derived from the tapioca plant. These bars would be great for people to take for after a workout or hiking. Check out the different flavors here. Overall, I think Gourmet Gifter offers some really good snack items. They also have different size gift baskets pre made and ready to ship out for any special occasion. Right now they have a special offer. 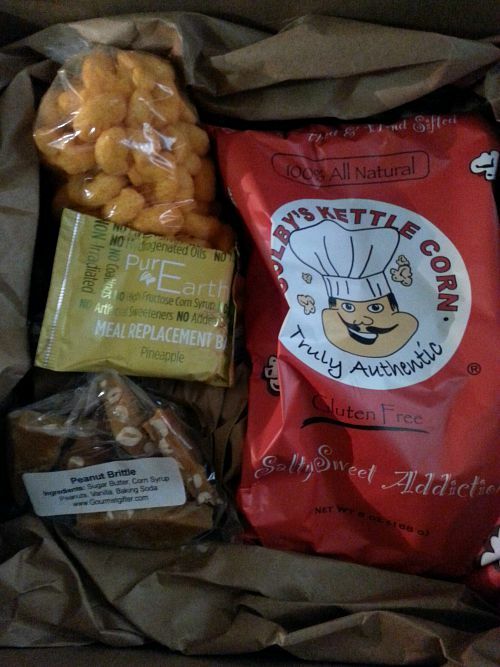 For your first purchase of $30.00 or more, you get the Kettle Corn Trio free. This sounds like a perfect deal to me. Use the code "FIRSTORDER" at checkout. What delicious snack would you try first?